Traditionally, financial advisors can take weeks to present clients with possible fixed income portfolios, and mainly only offer off-the-shelf options. BondIT harnessed IBM’s software along with machine learning capabilities, to provide customized portfolios in minutes while optimizing returns versus risks. Building fixed-income portfolios has long been a challenging, time-consuming process for investors and their advisors, with numerous, inter-connected variables and constraints. How could BondIT help? BondIT developed a cloud-based, machine learning algorithmic solution, which can handle any set of investment requirements and produce custom portfolios at speed. With a multitude of factors to consider and many options available, deciding how and where to invest your money can quickly become complex and inefficient. Nobody wants to lose their hard-earned cash getting caught out by a bad investment decision, so doing your research and choosing the right assets to match your constraints is essential, but this can often be difficult and time-consuming. Dr. Hillel Raz, Chief Scientist at fixed-income algo-advisory services provider BondIT, elaborates: “The fixed-income market encompasses millions of assets worldwide, each of which has numerous parameters, some of which change constantly. To further complicate matters, all of these assets and the variables impacting them are interconnected, creating a multi-dimensional, convoluted landscape. In the past, people would go to a bank or financial advisor with their requirements, and then wait days for the advisor to come up with investment ideas. Initially, BondIT relied on matrix laboratory (MATLAB), a multi-paradigm numerical computing environment and fourth-generation programming language, to support fixed-income portfolio generation. Recognizing that the solution’s performance and capabilities were limited, the company knew it could do better. To accelerate and customize the construction of fixed-income portfolios and optimize its fixed-income asset-management services, BondIT set out to find a more reliable, higher-performing optimization solver that would support real-time dynamics and better address static market constraints. BondIT evaluated several offerings before selecting IBM® ILOG® CPLEX® Optimization Studio to take its fixed-income portfolio services to the next level. Dr. Eyal Kenig, Senior Algorithm Researcher at BondIT, comments: “We put various algorithms to the test to see how well different solutions could solve problems and ILOG CPLEX Optimization Studio consistently produced the best results, while offering high performance, speed and reliability. We were also attracted to the fact that IBM could provide a broad network of support. Using the ILOG CPLEX Optimization Studio software, BondIT developed a unique mixed integer framework that sets up numerous linear and nonlinear constraints for resolution by a quadratic solver. Now, the company is able to solve for risk-optimized portfolios that best fit within specified constraints. The CPLEX solution provides the necessary mathematical and mixed-integer programming capabilities, working in conjunction with the proprietary BondIT framework to optimize fixed-income portfolios. BondIT deploys the IBM technology in the cloud, and delivers its own fixed-income solution for wealth and asset management to financial business clients through a software as a service (SaaS) delivery model. By deploying ILOG CPLEX Optimization Studio, BondIT equipped itself with a lightning-fast solution to support the creation of customized portfolios in seconds—leading advisory services into the machine-learning era and breaking the mold of the fixed-income market. “With the help of IBM technology, we’ve brought a totally revolutionary platform into the fixed-income market—we haven’t found any other company that can provide the same algorithmic power and speed for the same price as us,” says Dr. Eyal Kenig. As well as vastly accelerating portfolio construction, BondIT’s solution significantly minimizes the risk for investors. In addition, the solution cuts the number of broken portfolio constraints by approximately 50 percent, boosting usability and flexibility. Together with BondIT’s expertise and the surrounding technology, ILOG CPLEX Optimization Studio plays a significant role in the success of BondIT’s solution. “The main advantage of the IBM technology for us as a startup was fast time-to-market, as well as its ability to handle many different types of variables and objectives, control numerous parameters, and handle infeasible problems—these features play a key role within our framework,” comments Amit Godel. 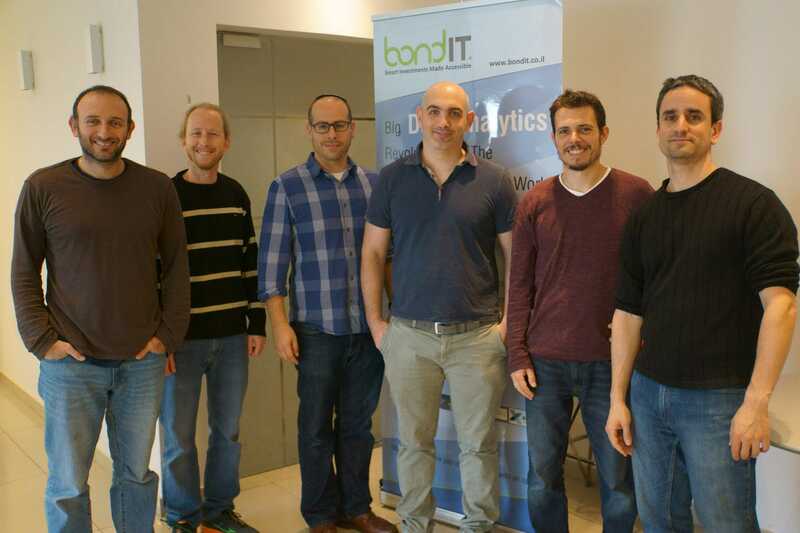 Founded in 2012, BondIT is a fixed-income advisory services provider in Israel, and employs around 35 people. The company provides a platform that constructs efficient smart fixed-income portfolios and drives sales by empowering investment managers and advisors with personalized, data-driven investment recommendations. The company has developed an algo-advisory solution that helps to construct tailored, intelligent portfolios for customers, with on-demand, timely and comprehensive reports. © Copyright IBM Corporation 2018. 1 New Orchard Road, Armonk, New York 10504-1722 United States. Produced in the United States of America, January 2018. IBM, the IBM logo, ibm.com, CPLEX, and ILOG are trademarks of International Business Machines Corp., registered in many jurisdictions worldwide. Other product and service names might be trademarks of IBM or other companies. A current list of IBM trademarks is available on the web at “Copyright and trademark information” at ibm.com/legal/copytrade.shtml.